Palestinians prayed at a building in the Al-Aqsa mosque compound Friday, defying Israeli efforts to bar access to that part of the flashpoint holy site. Qatar has strongly deplored and condemned the violation of the holy sites of the Al-Aqsa Mosque, the latest of which was the stormy and barbaric incursion carried out by the Israeli occupation forces Friday. Britain's Prince William on Thursday visited Jerusalem's al-Aqsa mosque compound and Judaism's Western Wall at the foot of the hilltop holy site at the heart of the Israeli-Palestinian conflict. 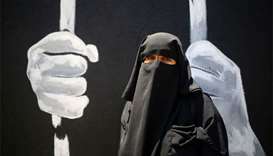 The $118,000 project is implemented in co-operation with the Zakat Al-Quds Committee. 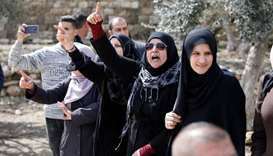 Palestinians ended a boycott and entered a sensitive Jerusalem holy site for the first time in two weeks Thursday after Israel removed controversial security measures there, potentially ending a crisis that sparked deadly unrest. 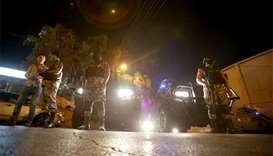 A Jordanian national has died of wounds sustained by gunfire inside the Israeli embassy compound in Amman, bringing the death toll to two, Jordan's official Petra news agency reported on Monday. 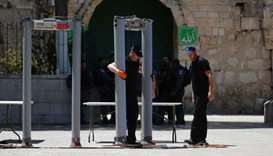 Israel said on Sunday it would not remove metal detectors whose installation outside a major Jerusalem mosque has triggered the bloodiest clashes with the Palestinians in years, but could eventually reduce their use. 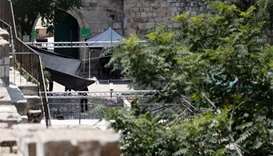 Muslims boycotted a Jerusalem holy site for the third day running on Tuesday after Israeli authorities installed metal detectors and cameras at entrances to the sensitive compound following an attack that killed two policemen. 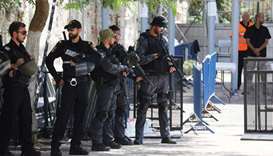 Israel reopened a holy site Sunday closed after an attack that killed two policemen, but new security measures including metal detectors and cameras triggered a dispute with Muslim authorities. 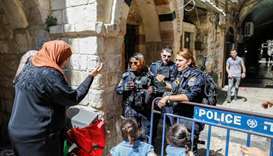 Israeli forces imposed a strict siege on Al-Aqsa Mosque and the Old City of Jerusalem and prevented its employees from entering the mosque and carrying out their work for the third day in a row.